WOW....Wake up every morning to this view! 3 bedrooms, 3 full baths plus a tandem 2 car garage with sliders to the lower covered patio & steps to the water.This beautiful waterfront townhouse is located in the GATED community of Seaside EstatesHome features a NEW ROOF in 2017. You will love the views from the 2 large balcony. The kitchen features Stainless Steel appliances and is open to the family room where you can still enjoy the views! 1 Bedroom & full bath is located on the main level & the master suite, 2nd bedroom, full bath & laundry on the 3rd floor. The lg master features floor to ceiling windows with sliders out to the private balcony to enjoy the view. Master Suite also also features plant shelf's, vaulted ceiling & lots of closet space. The master bath has a walk-in shower, garden tub & dual sinks. On the first floor there is crown molding & sliders to the large private balcony to enjoy the water views of the waters of Tampa Bay. Downstairs you will find a large garage with under the stair storage & sliders out to the covered patio area that is only steps away from the water. 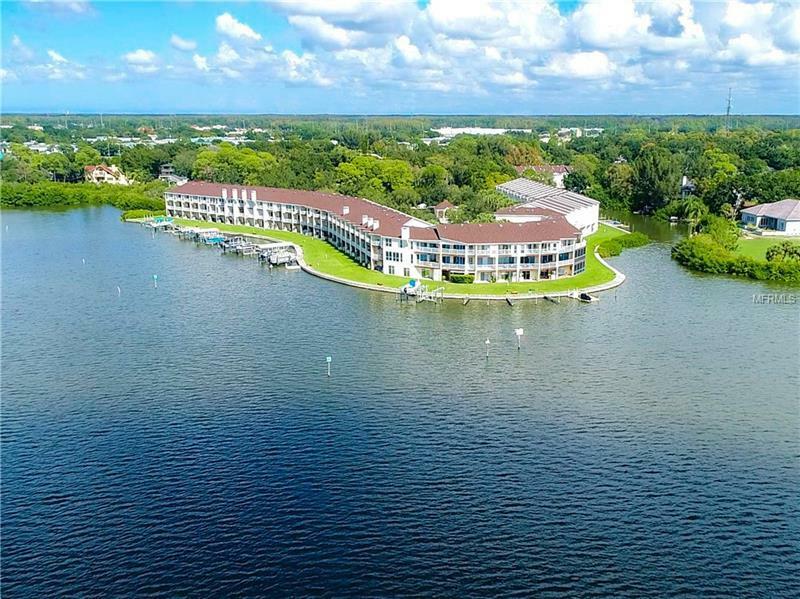 The beautiful waterfront community features tennis courts & steps from your front door is the large community pool with hot tub, pavers and covered area plus a community kayak launch. Easy drive to the airport, Tampa, the beaches & shopping!